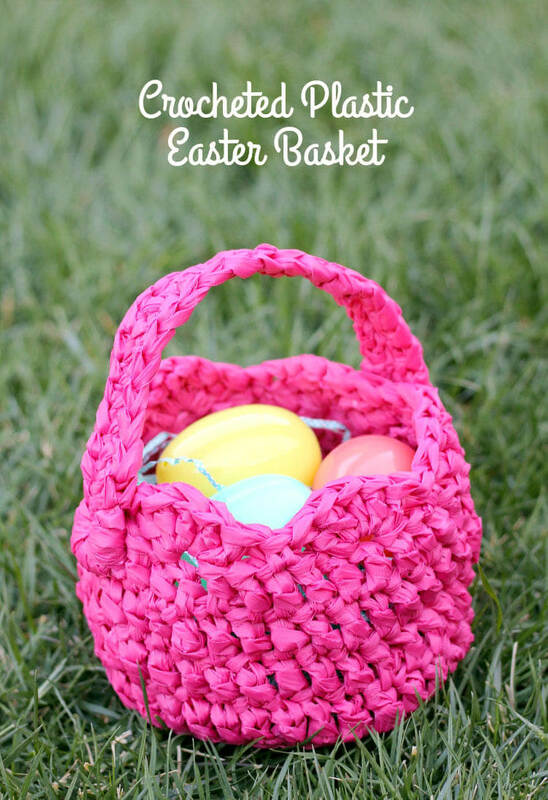 Turn an old plastic tablecloth into a fun new crocheted Easter basket! 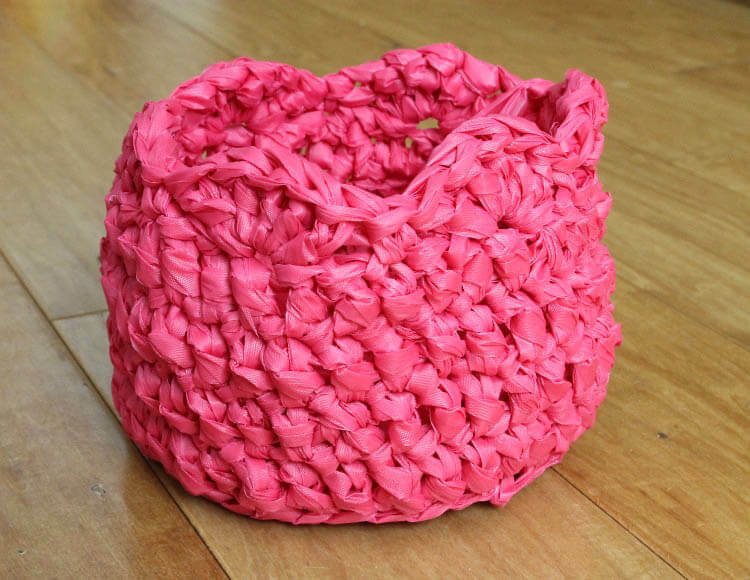 Full instructions on how to make your own cute basket from brightly colored plarn. 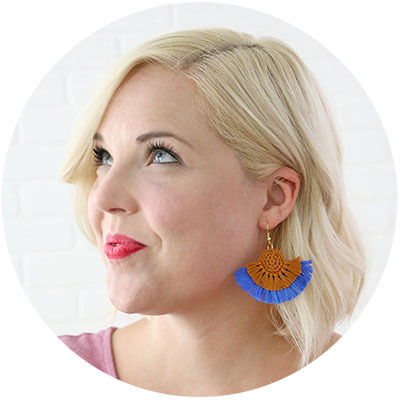 This post was originally shared at the Darice blog and may contain affiliate links, which help to support this blog. Thank you! 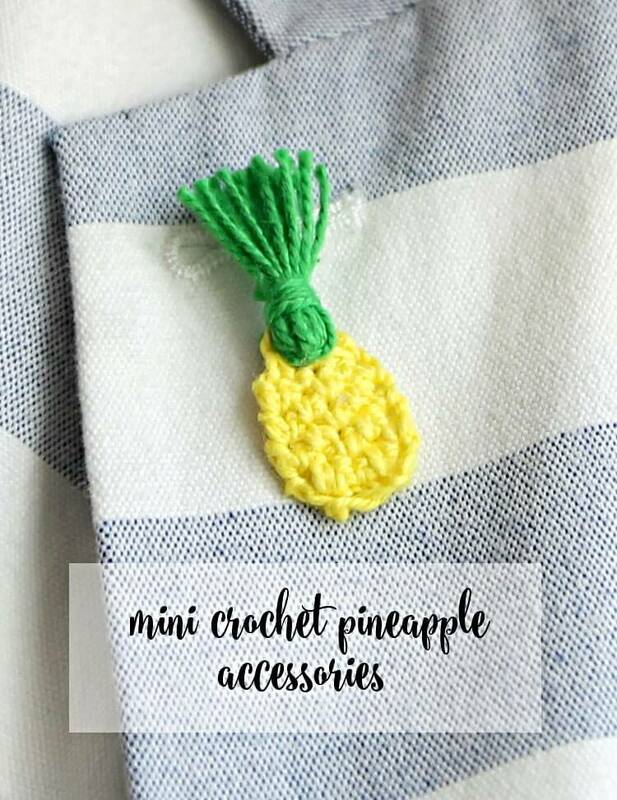 As much as I love crocheting with yarn, I really love trying to crochet with unusual materials (like leather, jute, and hemp). 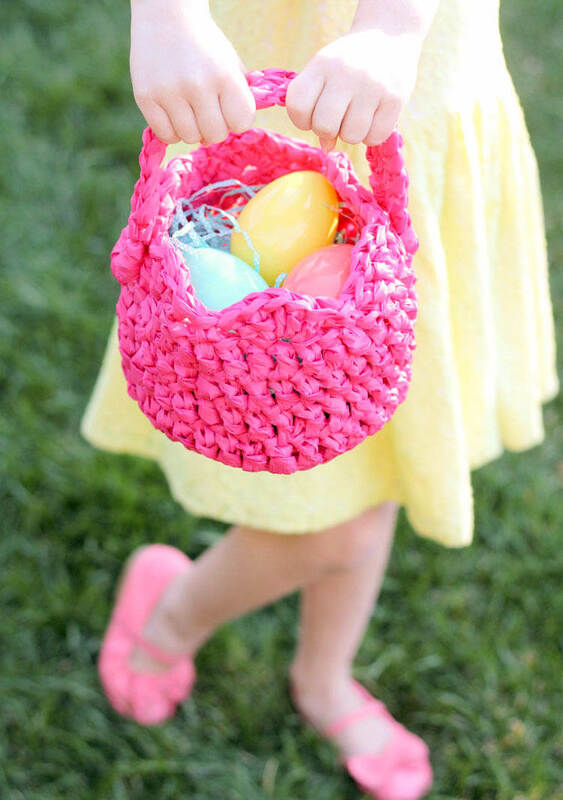 This cute little Easter crochet basket was made using something called plarn (plastic yarn), which I think is kind of the perfect material for an Easter basket. 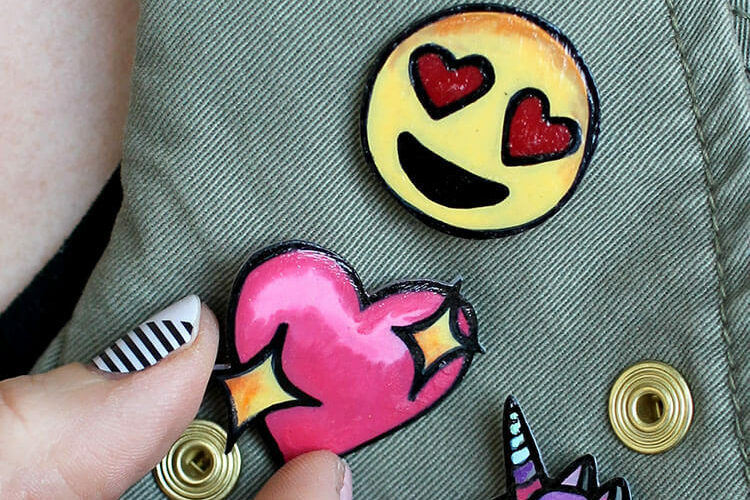 It is durable, sturdy, flexible, and waterproof – in other words, totally kid-proof. 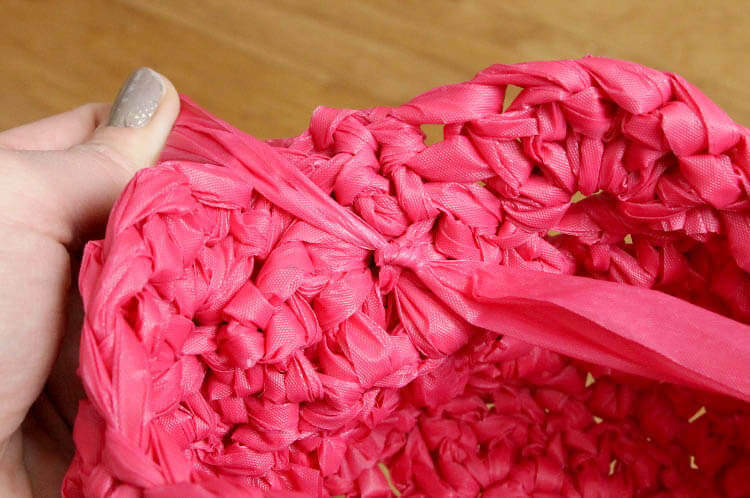 Usually plarn is made from recycled grocery bags, which are super environmentally friendly but limited in color choices. 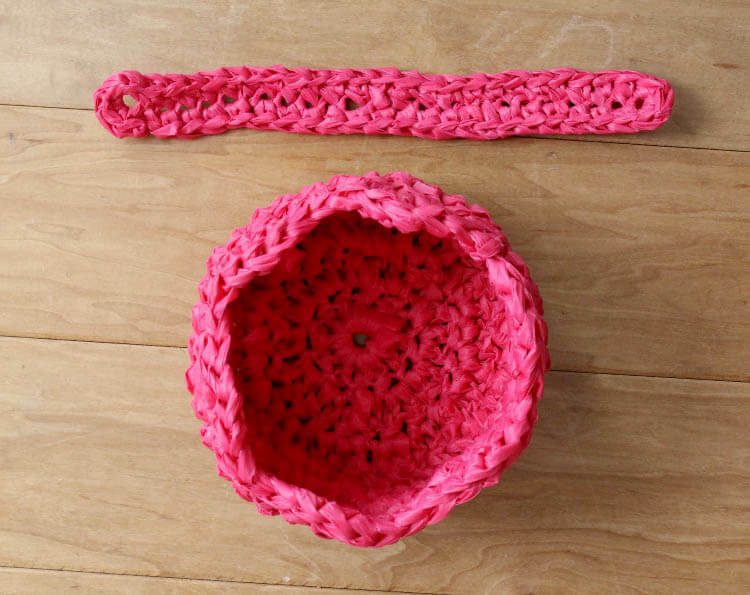 For this crochet basket, I used a large plastic tablecloth to make my plarn, which gives you lots of color options. To keep things environmentally friendly, instead of throwing away tablecloths after parties, keep them and turn them into plarn! 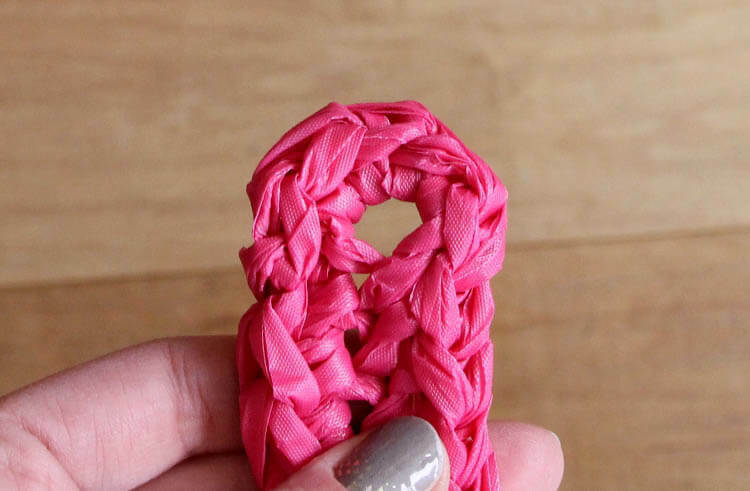 I actually have a whole post on how to make plarn that you can check out right HERE, but here’s the quick version. 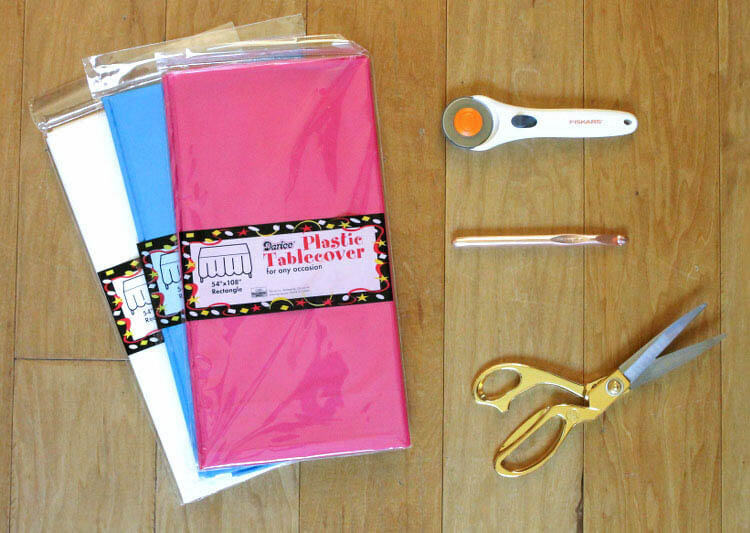 Start by folding the tablecloth in half widthwise several times until it is small enough to cut easily on a cutting mat. 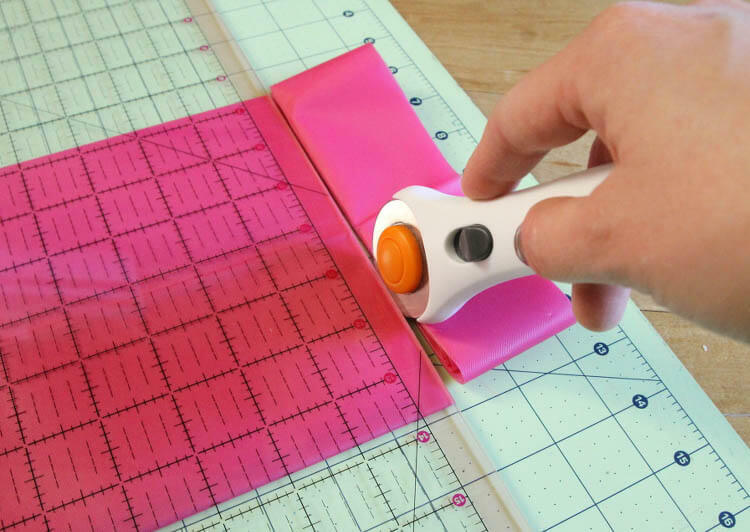 Using the rotary cutter and cutting mat, cut the table cloth into 2″ wide strips. Each strip will be 108″ long. To join the strips together to form one big piece of plarn, start by overlapping the ends of two strips. 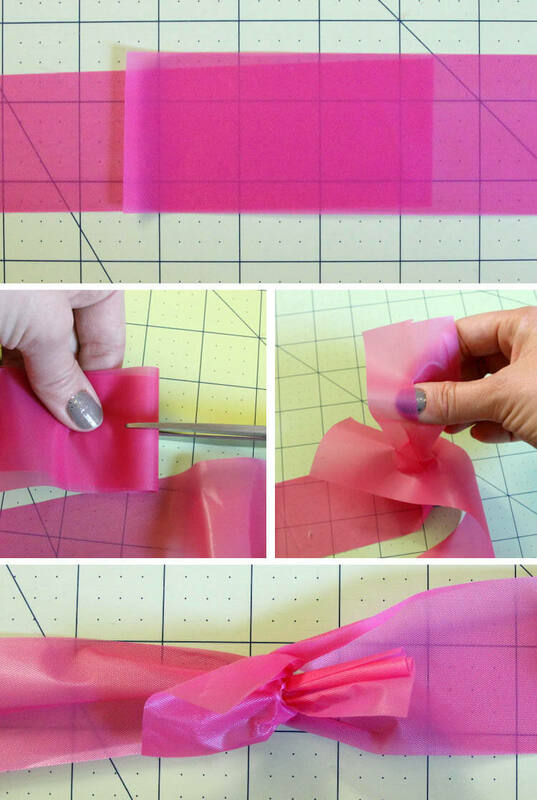 Using your scissors, cut a slit in the end of each strip about an inch or two from the end of the strip. Pull the end of one strip through the hole in the other strip, and then pull the end of the other strip through the hole in that strip, so the ends are looped together. Finally, pull on both strips to tighten the join. 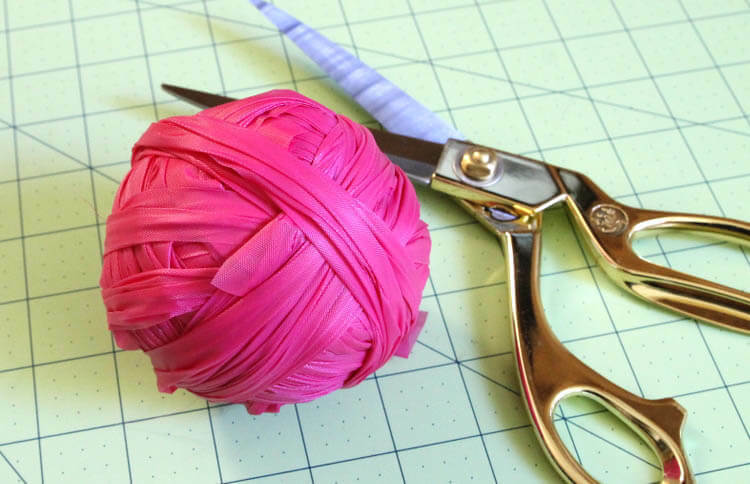 Wrap that plarn up into a ball, and – Voila! 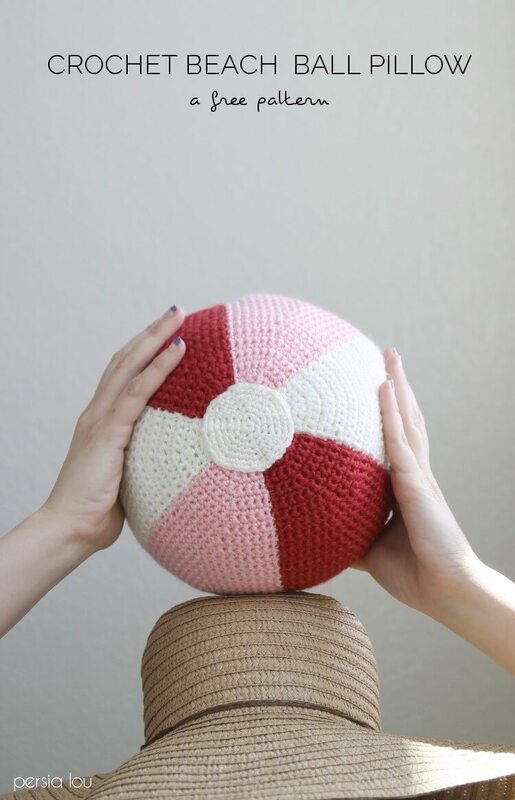 – we are ready to crochet. Round 1: Ch 4, sl st to beginning ch to join into a ch 4 loop. Ch 2 (counts as dc), 11 dc in ch 4 loop, sl st to top of beginning ch 2 to join (12 dc). Round 2: Ch2 (counts as dc), dc in same st, 2 dc in each st around, sl st to top of beginning ch 2 to join (24 dc). Round 3: Ch 2 (counts as dc), 2 dc in next st, * dc, 2 dc, repeat from * around, sl st to top of beginning ch 2 to join (36 dc). Round 4: Working stitches in back loops only (see image below), ch 2 (counts as first dc), dc in each st around, sl st to top of beginning ch 2 to join (36 dc). Rounds 5-7: Ch 2 (counts as dc), dc in each st around, sl st to top of beginning ch 2 to join (36 dc). Round 8: Ch 1, sc in same st, * skip 2 dc, 5 dc in next st, skip 2 dc, sc in next st, repeat from * around eliminating last sc and sl st to beginning sc (6 5 dc shells). Finish off. 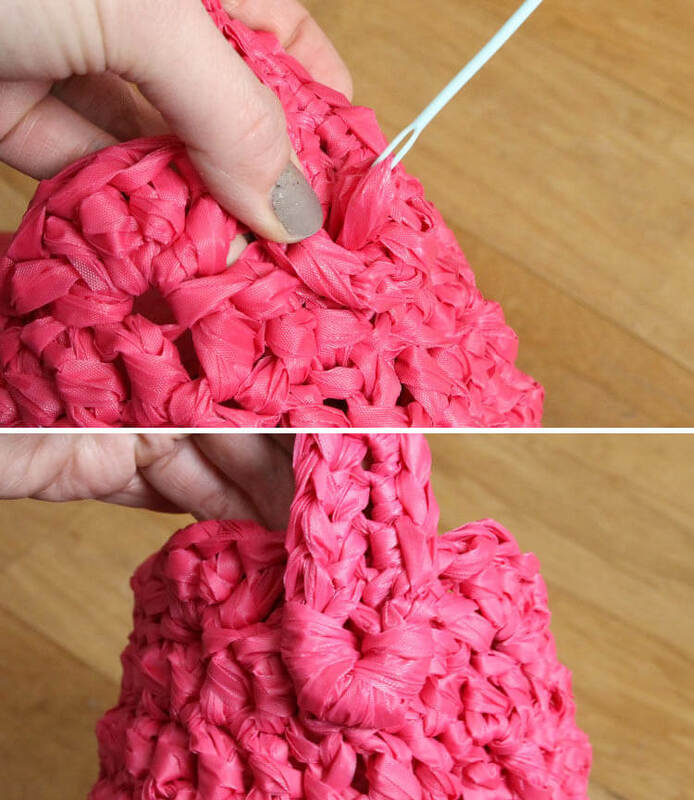 Use yarn needle to weave in ends. Then go around the back side of the chain and sc in each chain on that side. When you get back to the end where you began with your single crochets, work 3 single crochets into the first chain, and then slip stitch to the first single crochet to join. 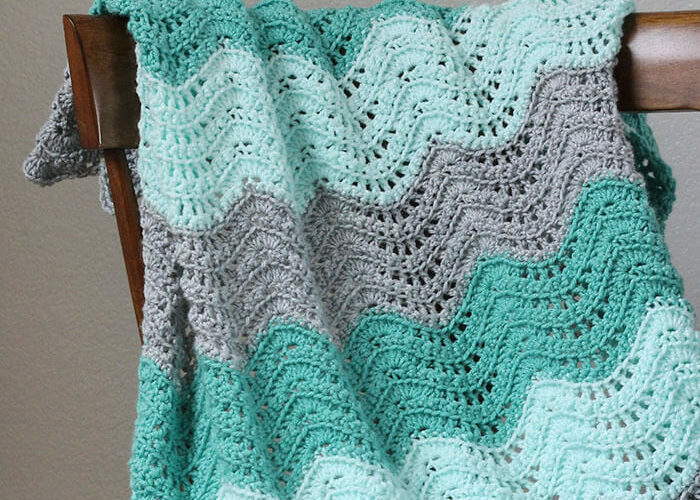 Use the yarn needle to weave in your ends. Now you have a basket and a handle with nice, rounded edges. All that’s left to do is attach the handle to the basket, which is easy with a new piece of plarn and a plastic yarn needle. Start by pulling the needle from inside the basket up through the center hole of the handle end leaving a tail about four or five inches long. Then, insert the needle back into the basket, wrapping the plarn around the end of the handle. Repeat the process around the end of the handle until it is securely attached. 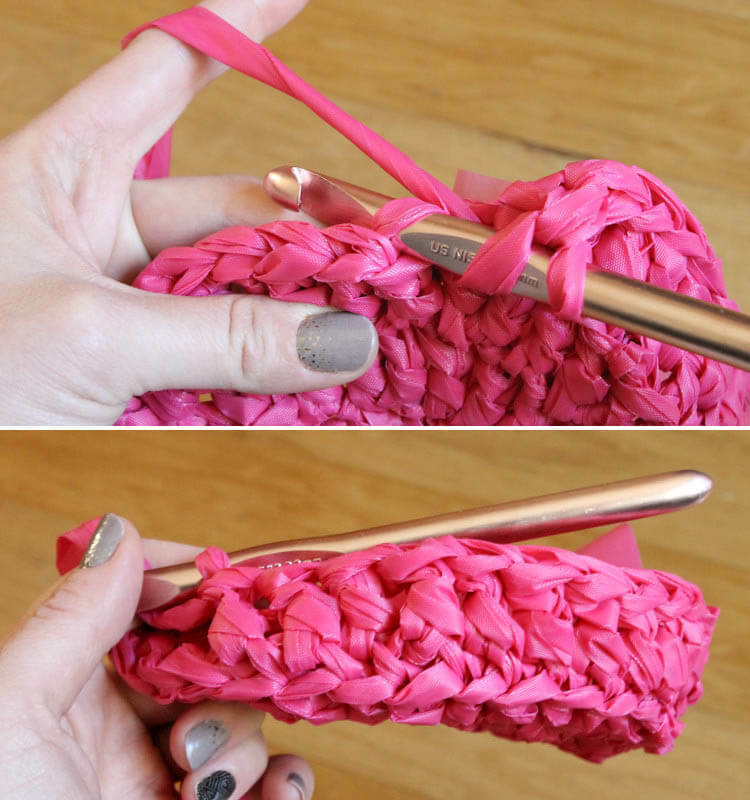 Wrapping the plarn all the way around the end of the handle creates a pretty, finished look. On the inside of the basket, tie the two ends in a double knot to secure it and clip off the excess. 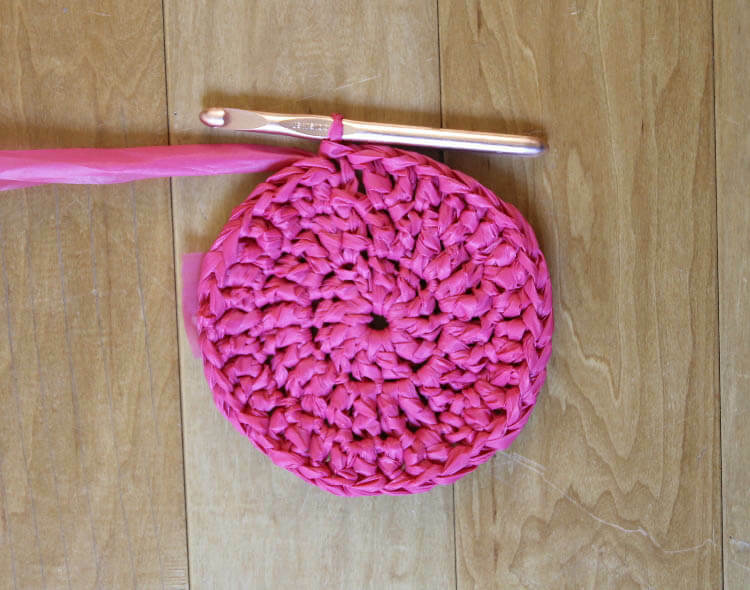 Finally, just repeat this process to attach the other end of the handle to the other side of the crochet basket. And that’s it! 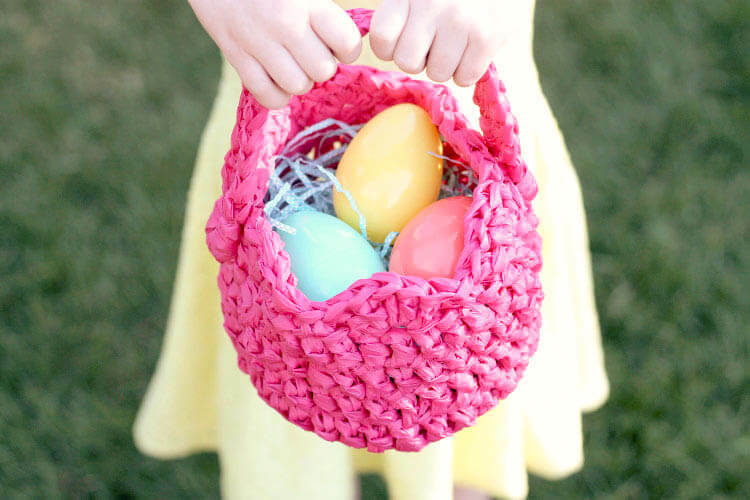 With the handle attached, your crochet basket is all ready to be filled with sweet Easter treats! Yay! Girl…this is brilliant! I am pinning it right now! 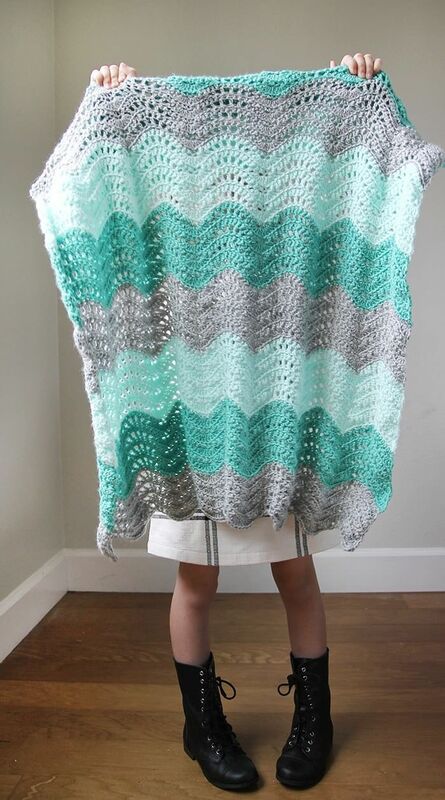 What a great tutorial and such a pretty basket! I wouldn’t mind making one or two larger versions just for storing random stuff. They’re lovely! Hi Alicia – Thanks so much! 🙂 Yes, you are welcome to use one or two photos with a link back. Thank you!